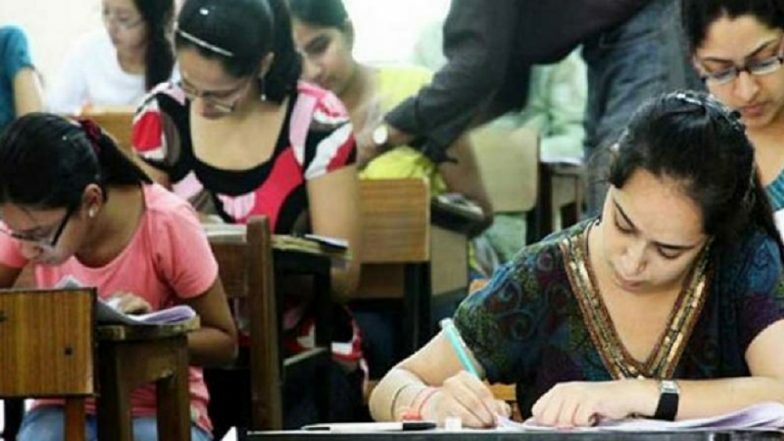 Bengaluru, April 15: The Department of Pre University Examination (PUE) has declared the Karnataka 2nd PUC results 2019. The results of Karnataka 2nd year Pre University Certification Examination will be released on its official website kseeb.kar.nic.in shortly. Karnataka 2nd PUC exam was conducted in March and concluded on March 18, 2019. The scores can also be checked on examresults.net. Of the total students who appeared, 61.73 percent cleared the exam. This is a 2.15 percent rise in passing percentage compared to last year. The pass percentage among girl students is 68.2 percent. According to the Karnataka 2nd PUC results 2019, 54,823 students got distinction, while 2,82,124 scored more than 60 percent. 52,106 students passed in second class, 80,157 obtained third class. Karnataka 2nd PUC is equivalent to class 12th board examination. Karnataka 2nd PUC results will be available to download from 12:00 pm. Apart from the KSEEB website, the scores will be available on pue.kar.nic.in. Students who appeared for Karnataka 2nd year Pre University Certification Examination will be able to access the results through SMS. The PUC colleges will publish the exam results on April 16. According to media reports, this year, around 8.41 lakh students have registered for the SSLC exam, while more than 6 lakh candidates appeared in the Karnataka PUC class 12 board exam.